The Japanese Ambassador to Lebanon Seiichi Otsuka visited Hima Kfar Zabad in the occasion of the completion of the project titled “Water Rehabilitation and Management at Hima Kfar Zabad Wetlands and Springs” funded by the Government of Japan through the Grant Assistance for Grassroots Human Security Projects (GGP). Ambassador Otsuka toured the hima accompanied by SPNL’s president Ramzi Saidi and Hima Programs Director Dalia Jawhary. The project aimed at improving the water quality by preventing the contamination of the water source and supporting the livelihood of the local communities as well as the surrounding 30 villages which benefit from the spring and the wetlands of the Hima. SPNL insured the direct implementation of the project activities, through the regular coordination and follow up with the contractor ,and SPNL’s local site manager in-order to finalize of the work on the ground in due time. This has helped us in finalizing the deliverables in much shorter time of implementation. The direct beneficiaries of this project are Kfar Zabad local community which include around (10,000 inhabitants), the Syrian Refugees ( around 5000 inhabitants too). Also around 200 farmers who surround the wetland and use its water resource benefited from the implementation of this project in addition to around 30 villages who depend on this water source for drinking and irrigation. Further more this project led to the improvement of the Hima Kfar Zabad habitats, thus assuring the maintenance of the wetland ecosystem for people and nature. 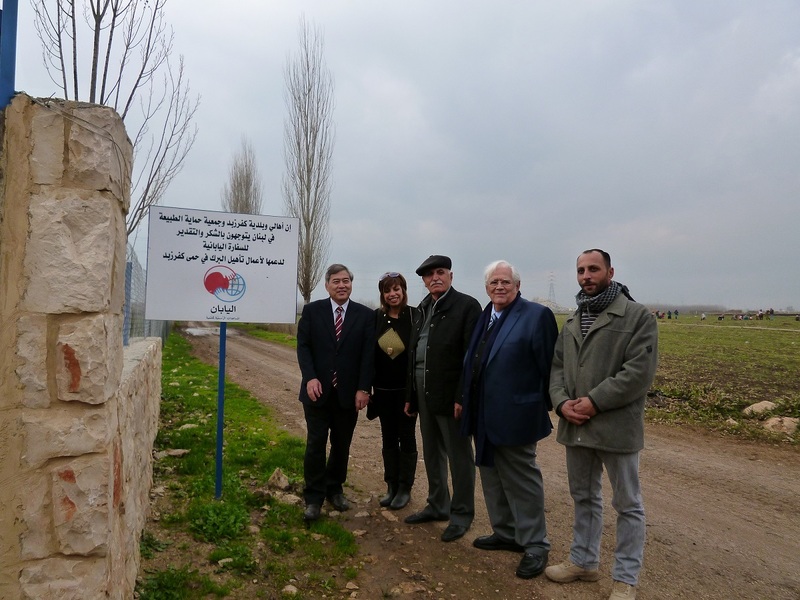 During a period of water scarcity , the following project presented a back up for the Kfar Zabad community, refugees and surrounding villages through providing an alternative source of water. This took place through the rehabilitation of Massaya spring thus improving its water quality and quantity and alleviating any direct threats taking place from agricultural effluents. A drinking tap was installed at the entrance of Hima Kfar Zabad ‘ beneath the spring source in order to facilitate the access of the local communities to drinking water. The following drinking tap is expected to be accessed by Kfar Zabad local community, Syrian refugees. Further the surrounding villages are expected to be provided by drinking water from this spring. Furthermore, the rehabilitated spring and water channels represent a major part of the Litani water shed, in which the water emanating from the Massaya spring continues towards the Kfar Zabad Wetland to meet with Anjar river and form ‘river Ghazel’ a major tributary of the Litani river. Thus, the water quality and quantity of this spring is very important where it affects the quality of the river and impacts the surrounding villages (around 30) and livelihoods benefiting from its water ‘mainly for agriculture’. 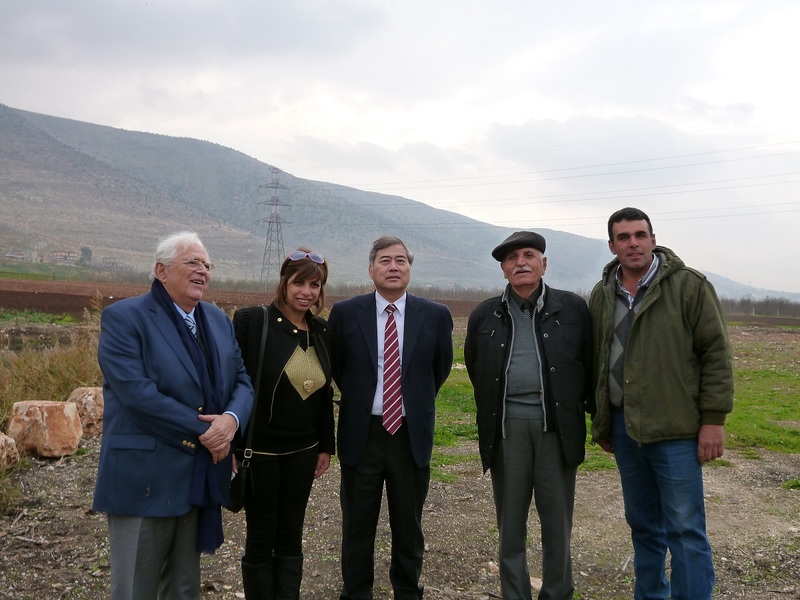 The following project led to the direct improvement of Hima Kfar Zabad wetland ecosystem. After the implementation of the rehabilitation plan of Massaya spring and installation of sluices to control water levels inside the wetland and revive the present habitats, an improvement of the wetland ecosystem was noticed through the regeneration of flora during an extreme dry season and the occurrence of waders inside the wetland due to the availability of water in this site, where other wetlands have dried out in the whole region. The improvement of the ecosystem status will lead to the restoration of the major functions of the wetland which impacts livelihood including (carbon storage, protection from floods and natural filtration of the consumed water). 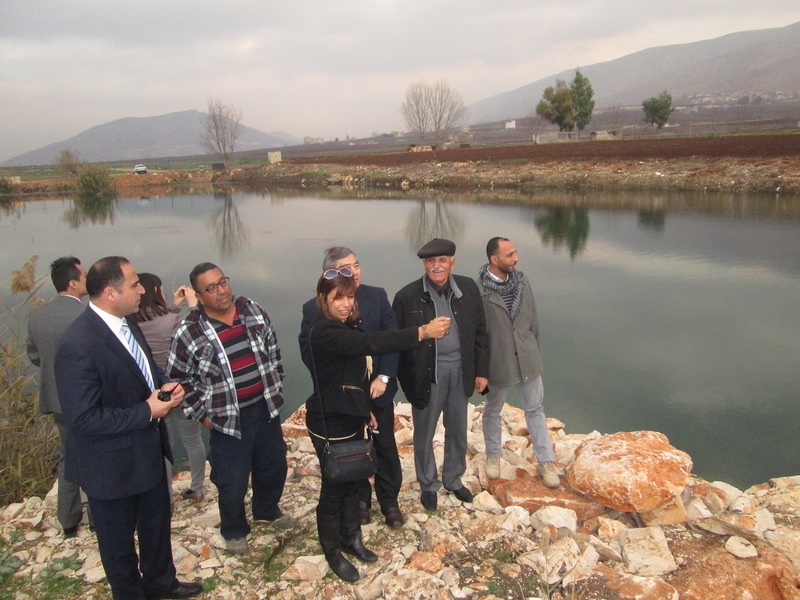 Thus, alleviating the threats of pollution at the spring in Hima Kfar Zabad wetlands will assure the quality of water for drinking to surrounding 30 villages dependent on it, and for crop irrigation to the surrounding farmers. Further, controlling the water level in the wetlands will prevent flood disasters on agricultural land, provides continuous flow of water for irrigation and drinking, and the production of healthy food products.